The world famous Bray Studios near Windsor, England is under threat. According to local news reports in the Maidenhead Advertiser (picked up by The Mirror) this week the current owners have put in an application for refurbishment work on the Grade II listed Down Place - the building at the centre of the studio complex. However, they have also strongly intimated that they will propose to turn the building back into residential dwellings in the forms of flats, and indeed the entire Bray Studios complex will be turned from a working studio into private dwellings. If this happens the character of the Bray Studios site will be irreparably altered and a piece of British film history will be written off. 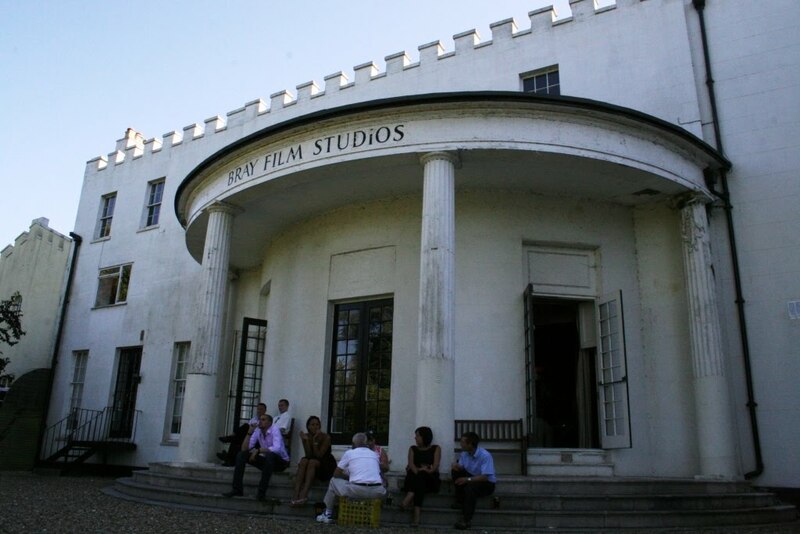 Bray Studios came into existence when Hammer Films/Exclusive Films moved into Down Place from their temporary home next door in Oakley Court (now a hotel) in 1951. Taking on a 1 year lease before buying the site, Hammer would convert the main house into a workable studio space eventually building purpose-built studios in the grounds. Known for a while as Exclusive Studios, it would soon be renamed Bray Film Studios. and Hammer would remain there until 1966, finally selling the property at the end of the decade. During that time Hammer made some of their most fondly remembered films and some of the most important cult British films ever - The Quatermass Xperiment, The Curse of Frankenstein, Dracula, The Camp On Blood Island and Plague of the Zombies. The space was also hired out - the Errol Flynn Theatre filmed there in the 1950s, The Who recorded and rehearsed at Bray during the 1970s, The Rocky Horror Picture Show was made there, and tv series like Inspector Morse and Doctor Who have used the space. Bray celebrates 60 years as a film studio next year, a rare survivor from the era of classic British cinema. Its the only one of the Hammer house studios that survives as a working studio. It would be a shame to see the premises closed and the history levelled. This site is intended to alert people to the threat against the studios, and to share something of the history of Bray. If you're interested in contributing, get in touch. Unless another film production company can invest time and money into the site it looks like the writing is on the wall. Perhaps it could be turned into a living film museum, an authentic film experience? A theatre? Anything but levelled and turned into a series of flats. Photo: Bray Studios, August 2007. (c) Robert J.E. Simpson. All Rights Reserved. An Indian Film company wanted to buy the studios in order to make horror films but the last thing that I heard they could not contact the owners. I have passed on the details to their representative. The present owners can't say that there is no interest in film-making there. I live in Hong Kong now. For some reason I woke up early this morning, wondering if Bray Studios was still in existance as a going concern. It was no doubt prompted by my thought that I might be making a visit back to England this year -- and, as I have a flat in Wokingham, Berks, if it is not rented out at that time, I will stay there -- and even go and visit nearby Bray Studios. Why? Because I used to work there. Indeed, apart from working as a Second Assistant Editor on "The Scarlet Blade" and "Seige of the Saxon" (1963, I think), I was a First Assistant Editor on two of the (apparently) last few films produced by Hammer Films, there -- "Dracula, Prince of Darkness", and "Plague of the Zombies" in 1965. Next year I left to go travelling around the world -- ending up, many years later in Hong Kong (where I did one film, starring Robert Mitchum -- "Kill Him In Amsterdam" or "The Amsterdam Killing"). -- Perhaps I should just add to my comment (above) that, if anyone reading this knows anything more, I would be very grateful if they could let me know. I can be contacted at the following email address: Online.Reporter (at) G mail (dot) com. Yes, I am now working as a journalist and English Tutor! Is is possible to visit Bray Studios? I am making an indie film and would like to check them out. Considering its proximity to Windsor I am genuinly suprised that there aren't serious attempts to turn the site into a museum. There must be a wealth of Hammer, Rocky, Alien, Doctor Who, etc, props and memorabilia knocking around somewhere that would benefit from a meaningful place to be showcased to the general public. You could even bring in guests by boat from the river! I was at Bray on the day that they shot the scene of Columbia doing the tap dance and falling on the stage of The Rocky Horror Picture Show. The cast were amazed that I was from Denton, Texas and I showed them my drivers license. I knew nothing about the story of this film and didn't understand their amazement that I was from Denton. The man who took me to the studio that day was a Mr. Nice who was producing a film at Bray.